We all know RED as the cinema camera company that pretty much changed the game when it comes to shooting Hollywood movies. Well, now RED made a huge announcement – they are soon going to release their first smartphone. The upcoming mastodon among modern smartphones will be called “RED Hydrogen One” and will essentially be an Android OS smartphone that’s already being referred to as a “holographic media machine” for viewing and capturing “multi-dimensional” imagery. What’s So Game-Changing About Hydrogen One? RED’s new smartphone will features a 5.7-inch “holographic” display that actually renders those bulky glasses obsolete when it comes to viewing multi-dimensional content. 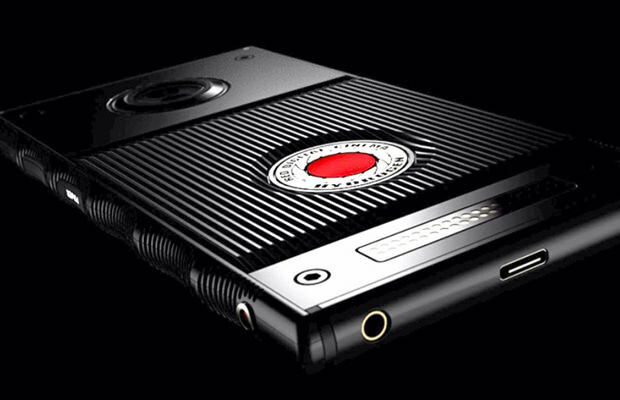 Aside from the displaying content, the RED Hydrogen One will also be able to capture content. As we can see, as far as the connectivity, charging, and storage are concerned, RED Hydrogen One uses a USB-C port and has an expandable Micro SD card slot. Folks over at RED say they are planning to start shipping the Hydrogen One in early 2018, and you can currently preorder it on the RED website. The standard Aluminum version will cost $1,195, whereas the Titanium variant is priced at $1,595.